Designed with the small to medium sized manufacturer in mind, a well engineered sander with easy to use features capable of sanding pre-veneered panels and joinery components. The machine frame is fabricated on a monobloc ribbed steel frame to produce a structure that is strong and vibration free, essential to produce high quality panels. 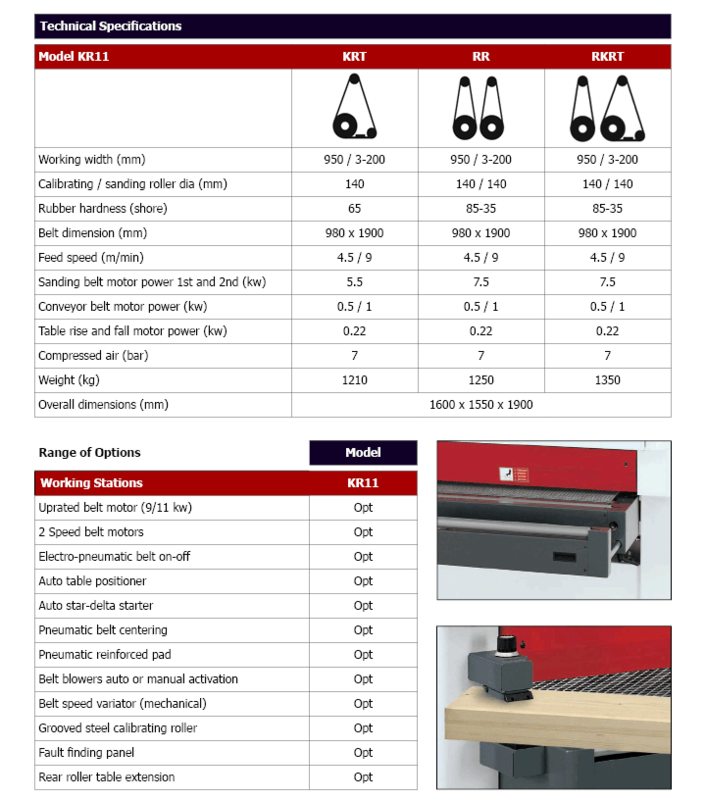 A working width of 950mm is ideal for most applications. Panels are transported on a rubber carpet which has a pneumatic device for automatic centering. The table is raised and lowered on four lifting screws with a chain drive to ensure perfect parallel motion. Limit switches at each end of the stroke prevent the sanding belt coming into contact with the conveyor and give a minimum working height of 3mm with a maximum working height of 200mm. 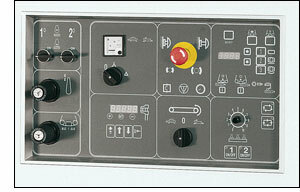 Panel thickness is set with an automatic measuring device. The minimum working length on the second head is 365mm. The sanding units have an adjustment to compensate for varying belt thicknesses. The extraction from both belts is designed to wrap around the sanding drum and maximise the efficiency of the exhaust whilst minimising the noise generated. Each belt has an independent connection for extraction located on the top of the machine.